It doesn’t matter who you are, we’re all guilty of binge watching. Hours and hours spent with our eyes glued to the screen in an endless cycle that perpetuates itself by the faulty statement of “just one more episode.” It’s fine, it happens. It’s nothing to be ashamed of. On my most recent binge, I took a liking to fashion documentaries. Well-made fashion documentaries connect the audience with the designer, which doesn’t always translate in 30-second interviews after a major show. The viewers get to see the designer in their process, from start to finish. You see the inspiration, construction, models, makeup, doubts and excitements —everything that truly makes up fashion. These films are very real as well. Everything isn’t always fabulous and amazing, as we’re most often led to believe. Every designer has their own method to their madness. Seeing behind the scenes can help future designers learn some new tricks and feel less alienated or unsure of their own design habits. 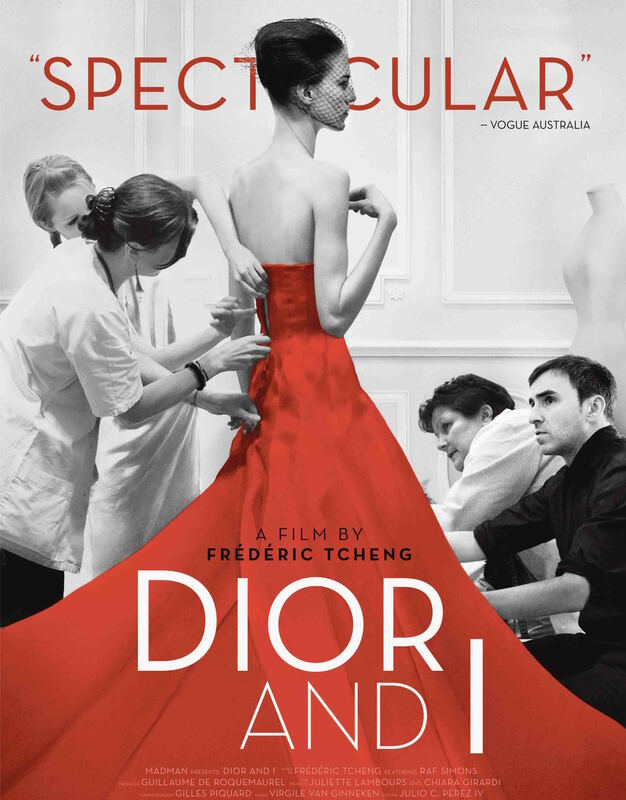 This documentary dives deep into the legacy of Christian Dior and the inner workings of the couture house. This is a pivotal moment for the brand, as Raf Simons assumes the position of creative director and is designing his first haute couture collection for Dior. The film follows Simons from the very beginning, establishing connections with the atelier and brainstorming concepts, to the last moments before the show starts and witnessing the emotional gratitude from the designer himself. This is the journey of notable designer Jeremy Scott from his humble beginnings in Missouri to establishing his own label. Moschino had just appointed Scott as creative director and we’re able to see the designer maneuver in a new landscape as everyone anxiously awaits the first collection. There are reflective moments where Scott explains monumental times during his career, his upbringing and how that has shaped his outlook on fashion. The legendary style icon Iris Apfel takes center stage with all of her electric greatness. Regarded as one of fashion’s greatest icons, Apfel’s legacy is dissected and the audience gets a very personal look into her life, shopping regimen and free-flowing creativity. Chronicling the notorious rise of Steve Madden, this film will leave you feeling inspired and ready to conquer whatever life throws at you. Madden has had his fair share of troubles, but his fight to reemerge as a fashion visionary will leave you in awe. If there are any great fashion films we missed, shoot an email to fashion@scadconnector.com with your best recommendations.